I feel like we've been waiting for the new Popupshop clothing to arrive for a LONG time! I've been constantly thinking about it ever since we had to place our order months ago. And it is finally here, and it is Amazing!! I am constantly astounded by how vibrant and realistic their prints are, it just blows me away. This season they have brought back the super popular Tiger and the Leopard prints, including the crazy popular Tiger Baggy Leggings, and we also have new Panda prints and Dolphin Swimsuits which I'm sure will be a big hit! We also have an amazing new peony Flower print gym suit and leggings, and an amazing Earth from space print dress, which are some of my personal favourite prints. These clothes not only look and feel great (so, so soft) but also wear really well. My kids sweatshirts and pants have been through numerous washes and lots of rough play, and the prints are still vibrant, and the quality hasn't deteriorated at all. I'm really impressed! On top of that it is Organic!! Yay! And everything is dyed with eco dyes, which means no use of heavy metals. So great for the environment and for your kids skin. For me, Popupshop ticks a lot of boxes, and my kids actually WANT to wear it!! 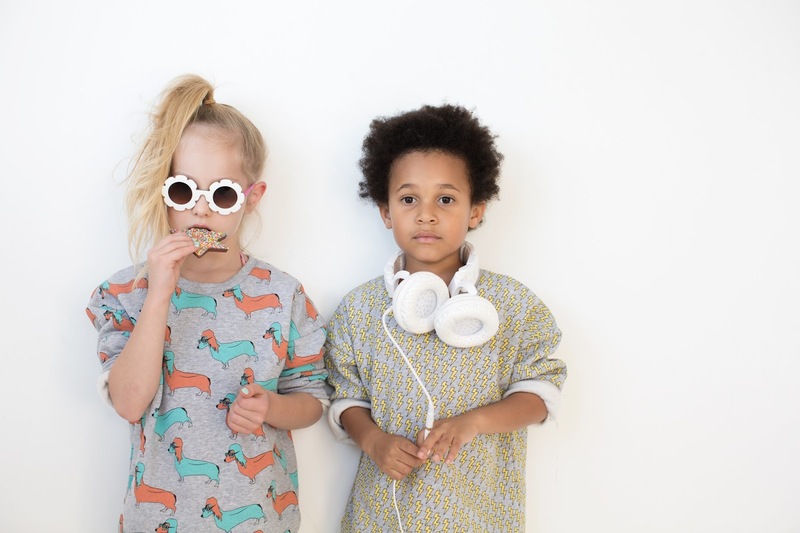 Nothing worse than you loving clothing and your kids hating it and refusing to wear it, we haven't run into that problem with any Popupshop clothes yet, something about kids and animals, they just can't get enough!